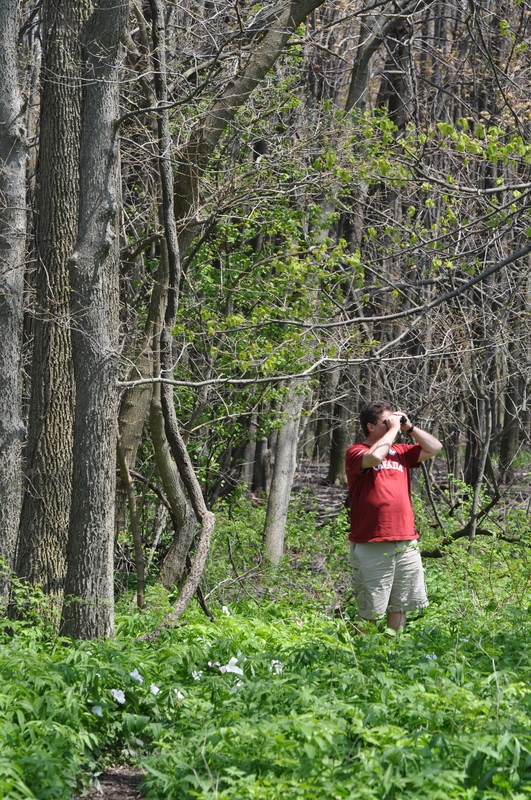 “It’s a birding mecca!” exclaimed my husband Steve when he suggested we go to Point Pelee National Park in Ontario. 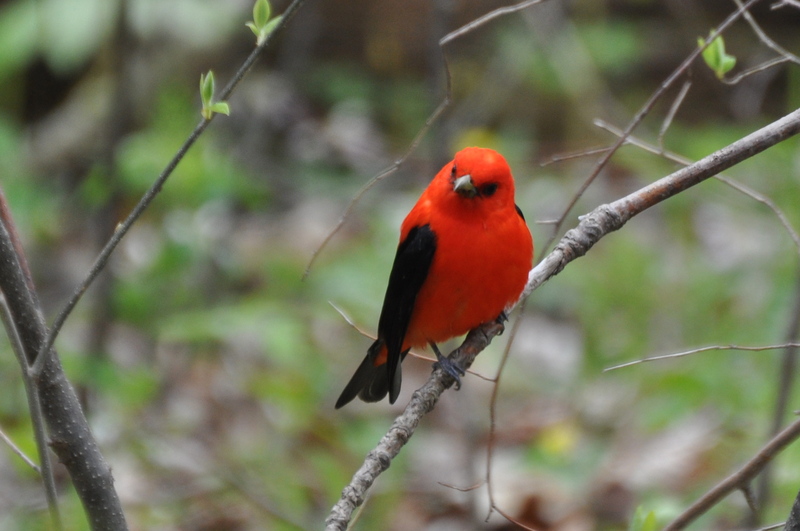 It would be our first birding adventure since my broken ankle accident in Zion National Park six months earlier, which included surgery–a plate, six screws and two pins–and I was still in physical therapy. I hadn’t been doing a lot of walking and this would be my first big trip. Steve, bought me a great compact stool I could Steve could sling over his shoulder so I could use when I needed to sit and rest. 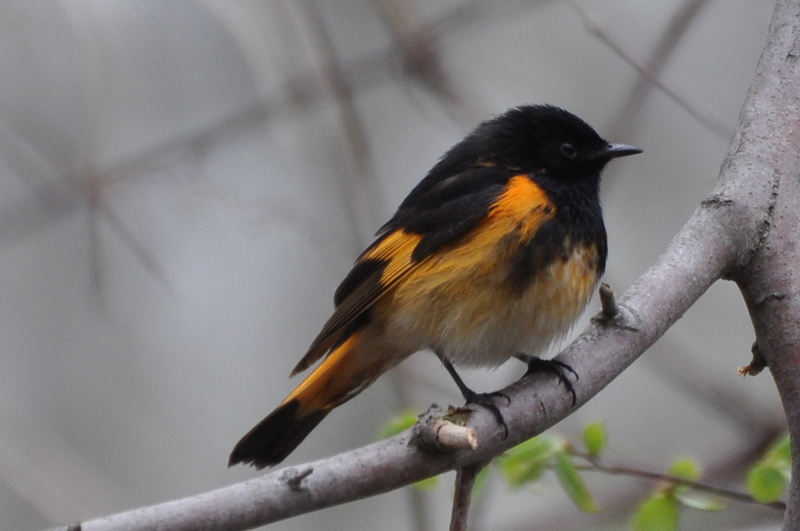 So in May we were birding Point Pelee at the peak of Spring Migration and the place was practically wall to wall birders. 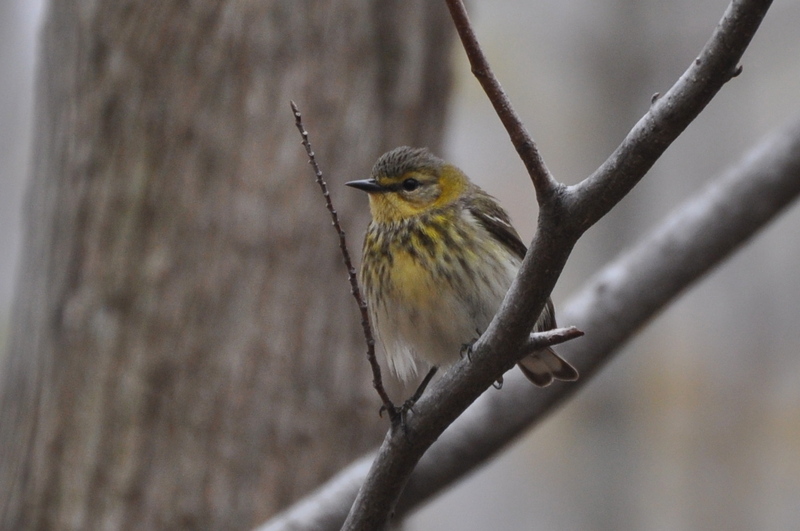 Not only that, but it seems as though there were gobs of warblers everywhere too. 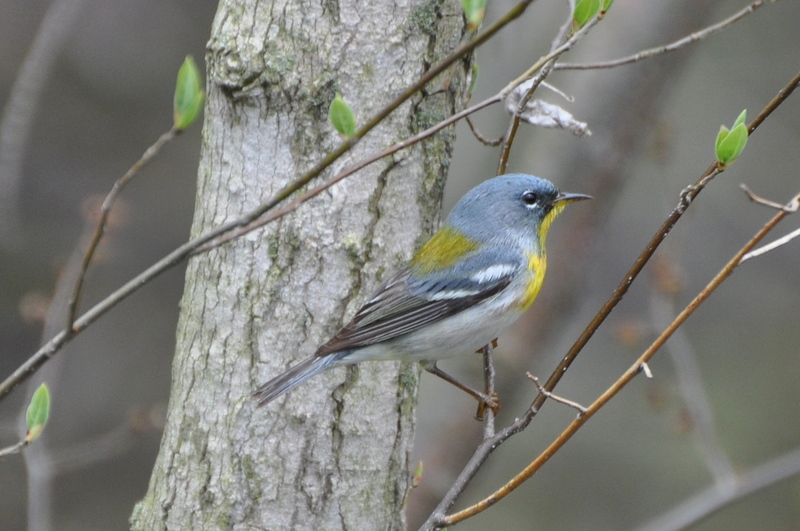 Blackburnian, Black and White, American Redstart, Black-throated Blue, Nashville, Cape May, Northern Parula. 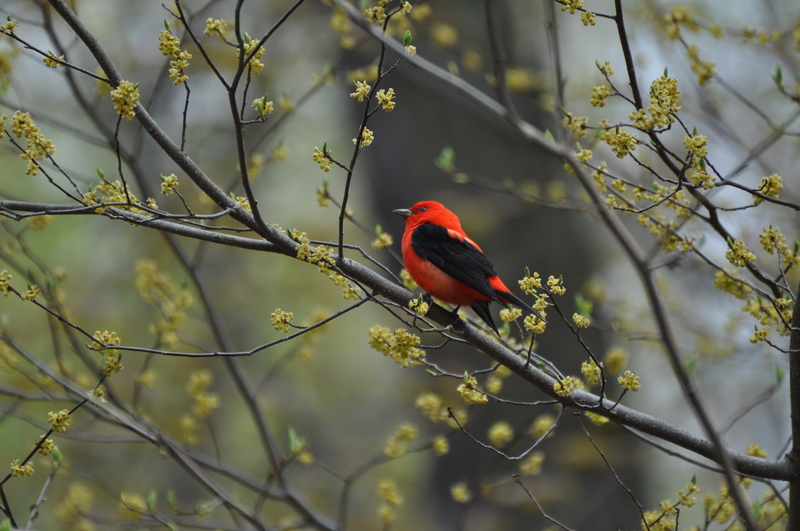 And not just warblers, but also Indigo Bunting, Orchard Oriole and the lovely Summer Tanager, all of which are just a handful of what we saw. We had taken the shuttle from the Visitor’s Center up to the Point-about a 2-mile drive–and we started to meander our way back on foot. 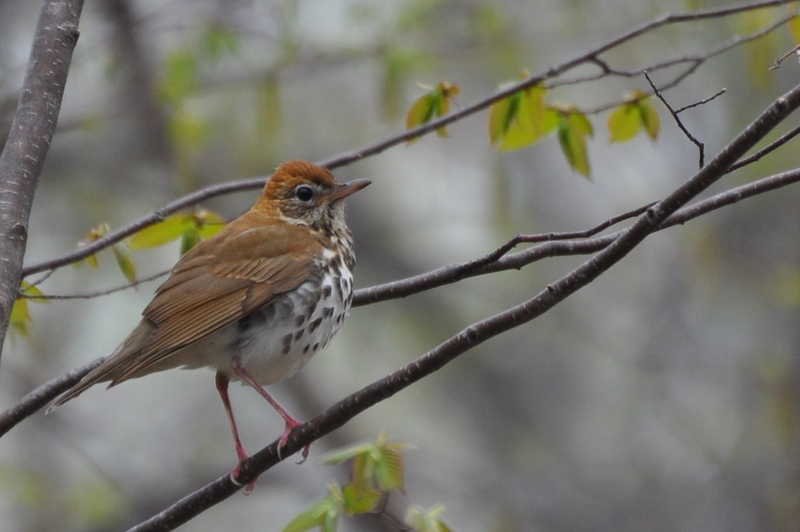 I was tired and used my stool from time to time and even huddled under a fir tree as it began to rain while Steve, with binoculars in hand, wandered around looking for a good bird. After about a mile, the shuttle stopped and picked us up on its way back to the Visitor’s Center. As we were getting off the shuttle we heard the rumblings from other birders about a Bell’s Vireo that was spotted at the point. Once the shuttle stopped at the point, it seemed as though all the birders were rushing a Bon Jovi concert. I swear, I saw a senior citizen push someone out of her way. They all speed-walked to the tree where the bird was, and of course, everyone–even the senior citizens–are faster walkers than me nowadays. I wonder what I would do if I was 800 miles off course. Usually an error like that is something you don’t want to advertise or make known. But in this case, this bird’s “over reaching” brought a lot of joy to people. It’s not like most of them hadn’t seen the Bell’s Vireo before. It’s that they know it’s rare in this neck of the woods. I don’t know where this poor fella is going to find a mate here. I still wonder if he wised up and went back to Ohio. And here’s the interesting thing about birding that I’ve learned. There are some who are like, “meh,” when they see the usual or common. But then there are others who are still fascinated by both the ordinary and the extraordinary. I hope that one day when I’m 800 miles off course I can draw excitement from others. In the meantime, I’ll be happy to draw excitement just by being ordinary. 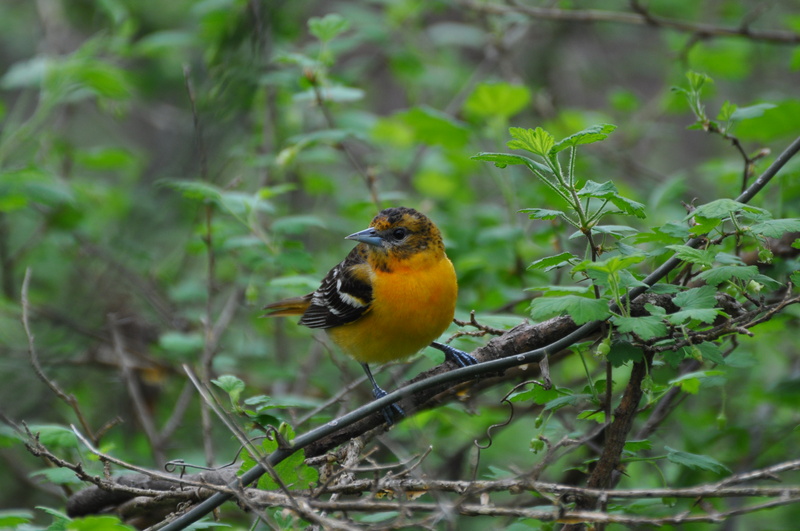 And here are other photos from our Point Pelee trip. That was my first trip to Point Pelee and to Pelee Island. (We stayed a night on the island) and I’m eager to go back. My husband is actually from Ontario and I’m from the U.S., so it was a real treat for me. Glad you enjoyed the photos! Thanks for the suggestion and the link! I’m sure we’ll be back. I just got my resident Visa for Canada. Hooray! I am learning about birding and I actually enjoy it!!!!! You have a gift for writing and photography! Aw shucks. Thanks Juliana! Glad you enjoyed it. There are a lot of beautiful pictures here. Being based in Phoenix, it’s always a treat to see the deciduous warblers, and it looks like you guys were swimming in them! 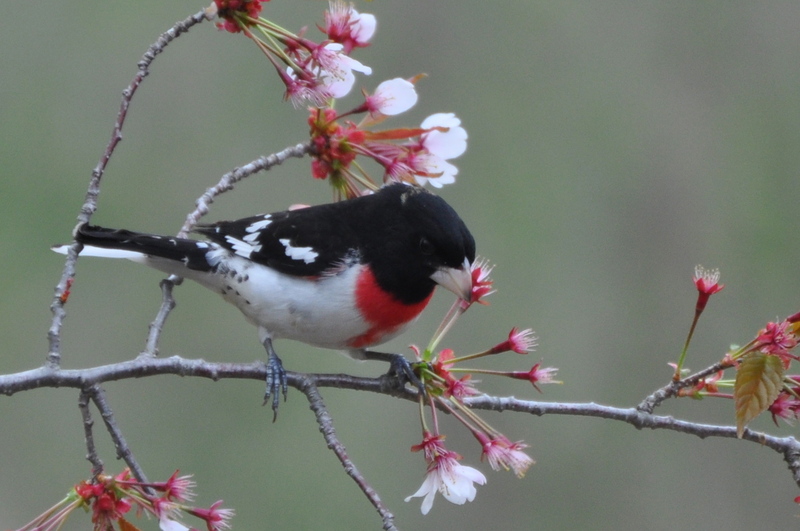 The Rose-Breasted Grosbeak is my favorite bird, and I still don’t have a picture of it. Coming away with this many great shots of so many different birds from one trip is pretty incredible. You must have a natural gift. Thanks Laurence. Now if those warblers would just be still! 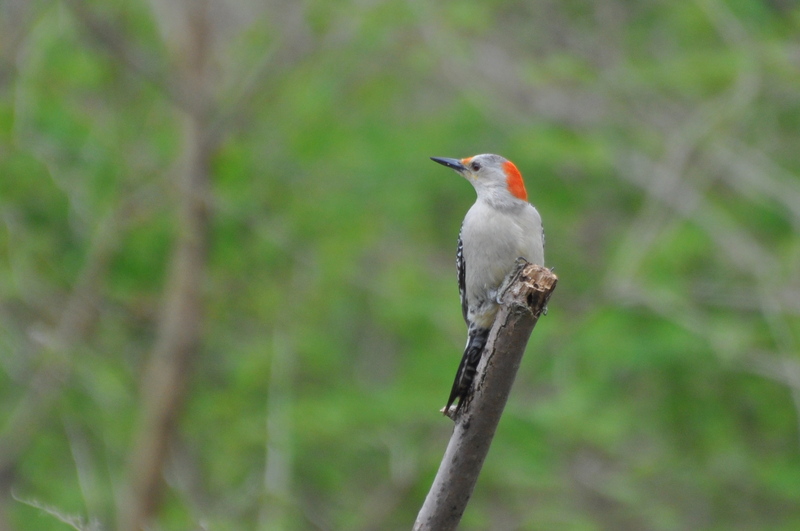 They’re about as difficult to shoot (w/camera, natch) as hummingbirds. I’m glad you had a great time in my native province, your ankle notwithstanding! 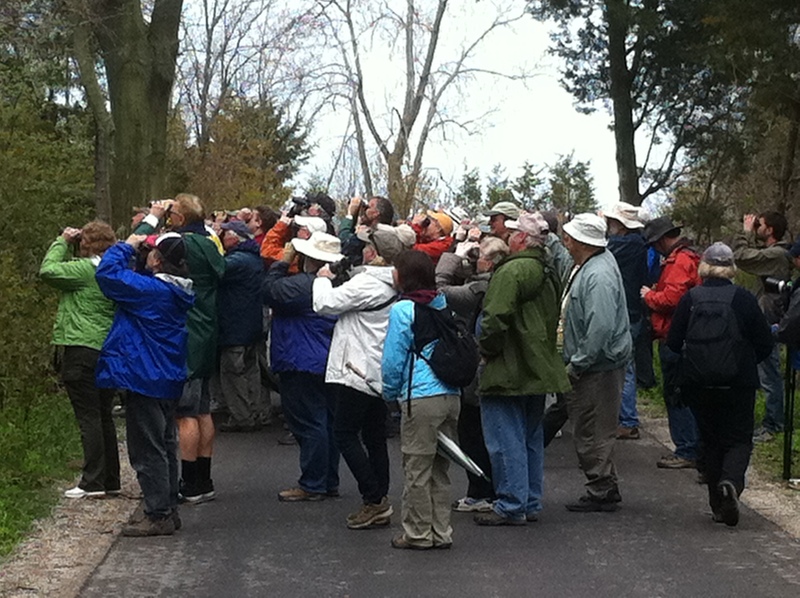 Love the pictures of all the birders craning their necks for a look at the Bell’s Vireo; too funny to think of the senior pushing someone out of the way for a look! Gillian, so glad you found the post! I know I’ll be back to your province, in fact next Spring, though just to Toronto. I wish I could have gotten a good photo of the Vireo, but it was flitting around too much and the sun wasn’t in a great position.